(CNN) - While the Trump administration rolled back environmental protections, Hawaii has doubled down on them. The Aloha State has passed ambitious laws to curb environmental damage, including banning certain sunscreens that can harm coral reefs and committing to the Paris climate accord's goals. State Sen. Mike Gabbard, one of the bill's sponsors, said reducing single-use plastics is the logical next step to protecting Hawaii's natural resources, a big tourism draw. "We're surrounded by an ocean and our beaches and coastlines are a huge part of our daily lives," Gabbard said. "So going big reducing on single-use plastics makes a lot of sense and is doable." If the legislation is enacted, Hawaii would become the first state to institute such a progressive statewide ban on plastics, according to the environmental group Natural Resources Defense Council (NRDC). The bill has already passed the Senate and two House committees. "This nation-leading legislation positions Hawaii to comprehensively tackle litter and ocean pollution that stems from single-use plastics -- which provide a momentary convenience but remain an environmental burden for a century or more," NRDC senior attorney Eric Goldstein said. Fighting plastic isn't new to Hawaii. In addition, two islands -- Maui and Hawaii, the Big Island -- have already banned polystyrene foam containers. 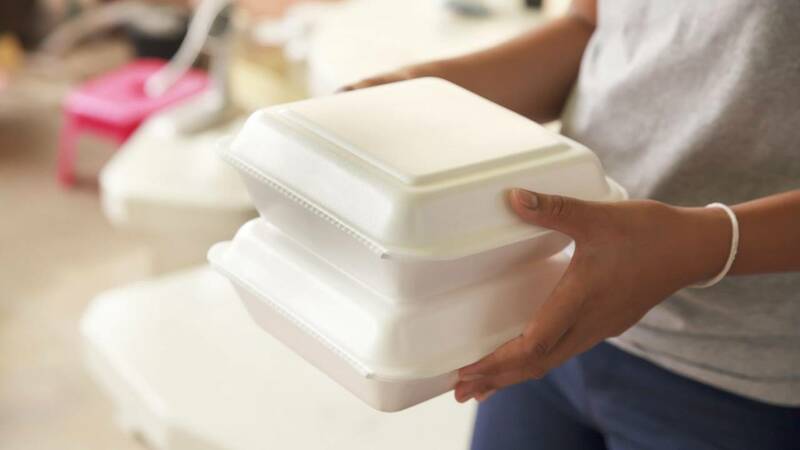 Another bill in the Hawaii legislature is looking to expand these bans and prohibit polystyrene foam food containers statewide. The efforts come amid growing concerns about trash -- much of it plastic -- fouling the Earth's oceans. A massive pile of garbage in the Pacific Ocean is now three times the size of France. "Abrupt changes for change's sake doesn't solve anything other than increases costs to the consumers," says Victor Lim, a restaurant owner and Hawaii Restaurant Association legislative chair. "We are sensitive about our environment but we would like a longer-term solution to this mega problem." "We should be developing a circular economy for plastics," the group said. "We encourage the legislature to look at alternative approaches that would increase recycling and recovery in communities across the islands and educate individuals on the responsible use of plastics, such as adopting straw 'upon request' guidelines." "Restaurants are already moving in the right direction," he said.